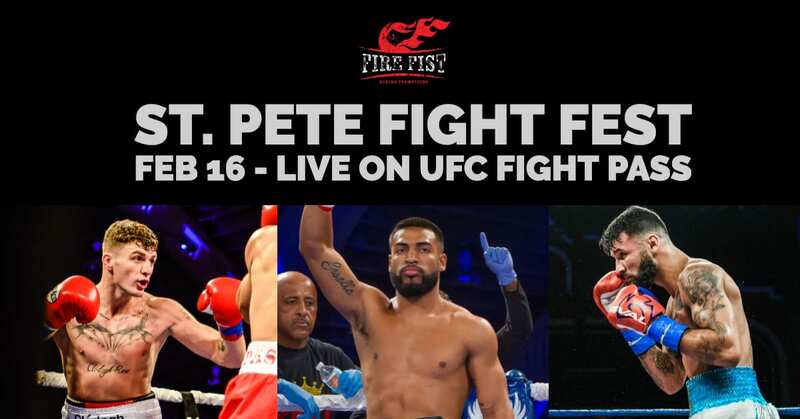 Tampa, FL (January 14, 2019): Connor “The Kid” Coyle, Willian “Babyface Silva” and Mark Reyes Jr. will return to the ring on Saturday, February 16. The event is co-promoted by Roy Jones Jr. Boxing Promotions and Rite Hook Promotions and will take place in St. Pete Coliseum. The action will be live-streamed on UFC Fight Pass©. Undefeated Connor “The Kid” Coyle (8-0, 3 KOs) and former NBA Intercontinental Middleweight Champion will co-headline the event. Fighting out of Derry, Ireland but training out of St. Petersburg, FL, Coyle is scheduled for 10-rounds. “I’m excited and very grateful to be back in St. Pete arena. I am prepared to come back in the ring once again and ready to give a great performance for my St.Pete and Tampa Bay supporters,” Coyle said. ABF Continental Americas Welterweight Champion Mark Reyes Jr. is also scheduled to fight during St. Pete Fight Fest. “Fighting on this card is a great opportunity and I have the obligation to give a great fight to all my home fans. I’m confident I’ll walk away with my hand raised,” Reyes Jr. said. Fire Fist Boxing owner Jody Caliguire stated: “Fire Fist’s fighters are ready to put on a show in front of St. Pete crowd! It will be an action-packed night with all-around quality boxing. We are thrilled and thankful to Roy Jones Jr. Boxing Promotions and Rite Hook Promotions for the opportunity to feature our fighters.